The RS570 is designed for the semi automatic production of blisters inside containment. The containment can be built according to the customers specification, either to protect the product and/or the operator. Forming and cutting takes place outside the RS570 blister sealing machine. The RS570 is fully cGMP compliant. Its smooth surfaces are easily cleaned. An optional magnetic transfer system can part automate the loading of cavities and lid foil. Rohrer has recently built the RS570 small scale sterile blister sealing machine to package High Potency drugs. The RS570 small scale sterile blister sealing machine is designed for manual blister sealing in containment. 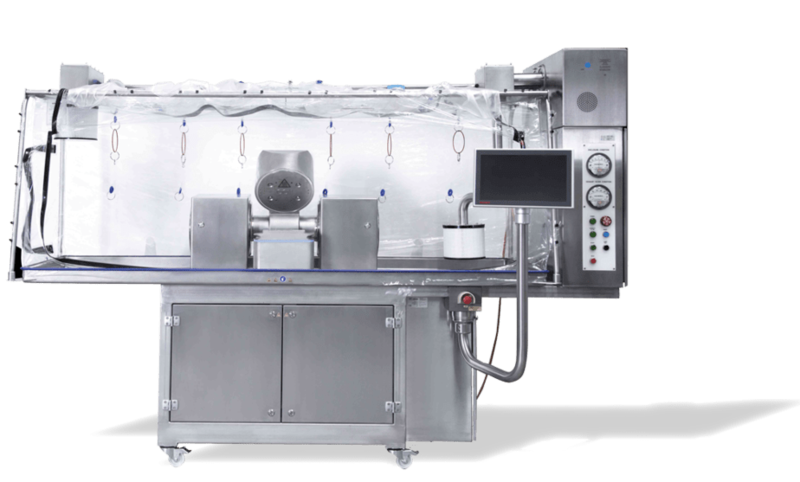 Unlike its sister the R560 the RS570 is designed fully cGMP for sterile packing applications. Containment solution with Glove ports allow the operator to place seal products on small batch runs.